HIS Sign, LLC is your best resource for American Sign Language interpreting services in the Virginia, Maryland, West Virginia and Washington, D.C. areas. 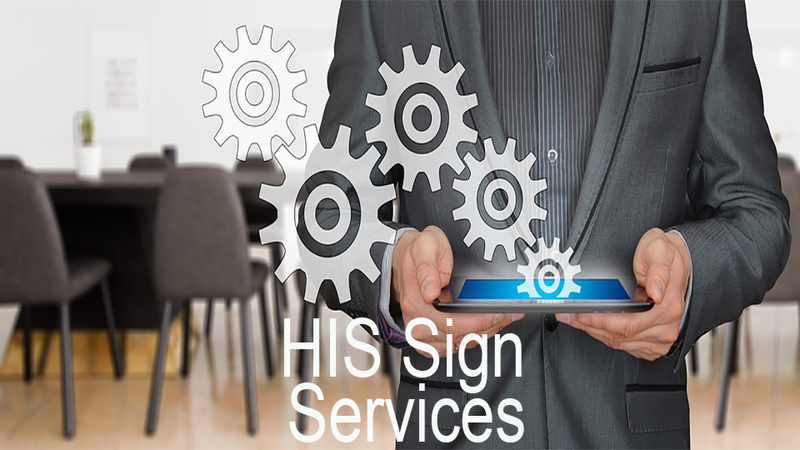 Whether it is on-site sign language interpreting, video remote interpreting (VRI), CART services, spoken services or training in Deaf culture – HIS Sign has you covered! 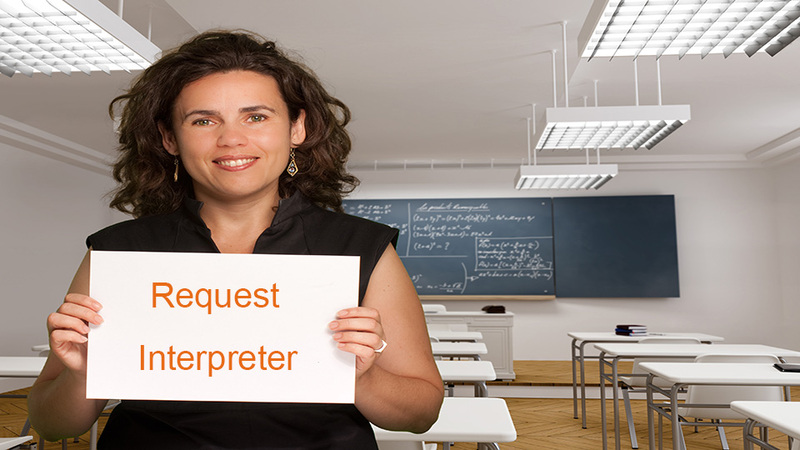 Why do I need an interpreter and who pays for it? How can I make an online payment? What upcoming events are in the area? 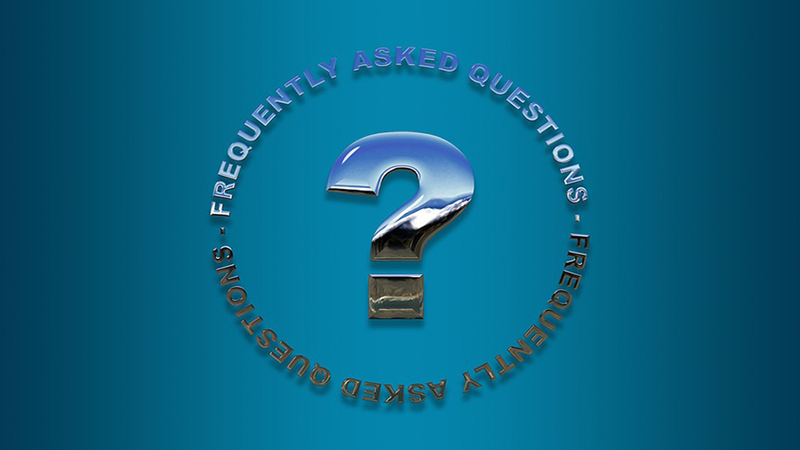 Find out answers to those and many more here. 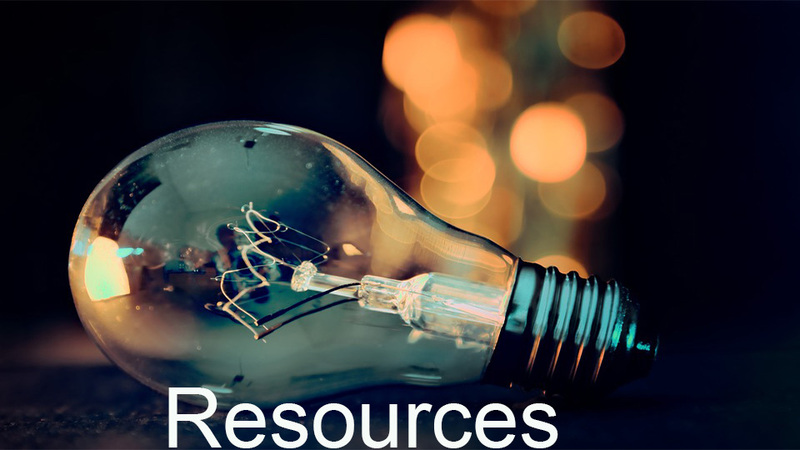 With over 30 years of professional experience, HIS Sign is your single resource for interpreting services, ADA consulting, and related training. 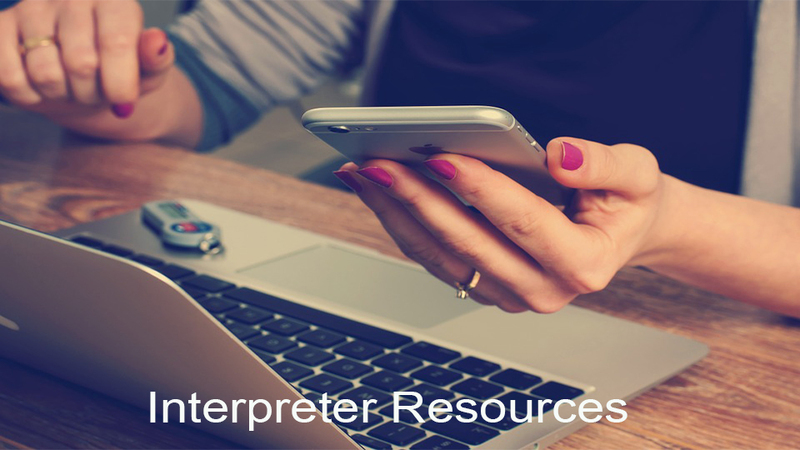 Need an Interpreter? 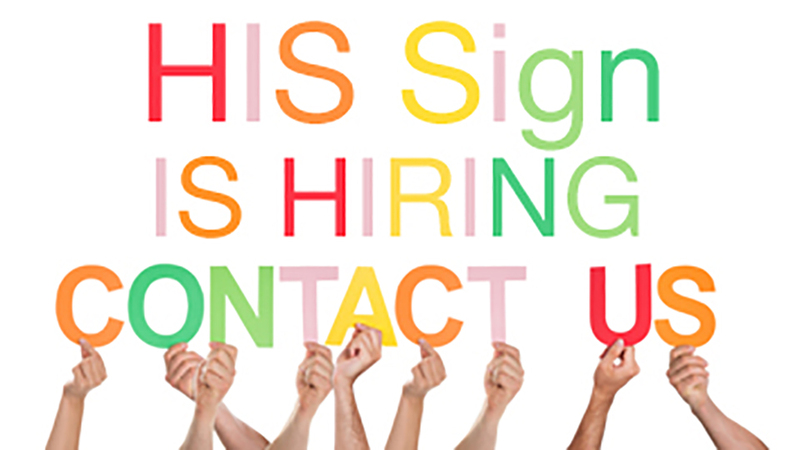 The HIS Sign team is looking for qualified interpreters. Interested in providing services at a compant that cares? Do you have a question or need an answer? 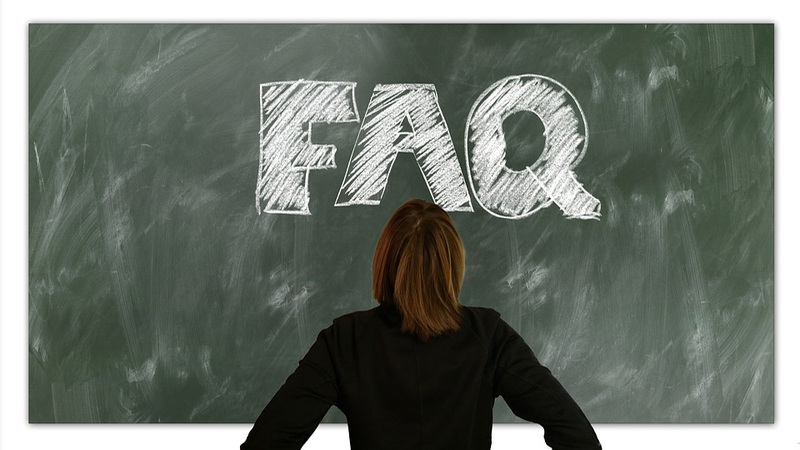 Check out our frequently asked questions. HIS Sign is Hiring! Check out the current positions that are available. Are you interested in joining the HIS Sign Team? Christina started to sign in the 5th grade, when her mother gave her a sign language dictionary for Christmas. She had her first opportunity to use what she had learned the following summer while in Los Angeles visiting her uncle. It wasn’t until her junior year at Penn State that she took her first sign language class, thinking it would be an easy “A.” Little did she know that in choosing this class she would find her life’s passion. Graduating with a marketing degree from Penn State University in 1989, she moved to California where she began taking sign language and interpreting classes at Ohlone College, Skyline College and San Mateo College. She then switched gears and started attending San Francisco State University, where she began working on her Master’s in Deaf Education while continuing to interpret in the San Mateo Public School System and at Cañada College. After relocating to the Northern Virginia area, she continued working in the public school setting with Loudoun County Public Schools and attended Northern Virginia Community College (NVCC), changing her educational focus back to interpreting. In 2004, Christina was the first graduate of the NVCC Interpreter Training Program. She attained national certification in 2003 (RID-CI), in 2004 (RID-CT) and again in 2010 (RID-NIC). Christina’s responsibilities with HIS Sign include providing coverage for last minute interpreting assignments, screening new interpreters, mentoring, establishing a relationship with the interpreters that provide services through HIS Sign and assisting in marketing. She is actively involved in the Deaf Community of Northern Virginia. Christina has been interpreting for over 23 years. Her passion is educational interpreting, mentoring and working with individuals interested in the interpreting field. She is a consummate learner and has attended many conferences, educational seminars and workshops. She has been married to Brian for 25 years, has two teenage children, and has lived in Northern Virginia for 15 years. In addition to her passion for signing and her love for her family, Christina enjoys traveling and eating out at fine dining restaurants. Her future life goals include one day developing an official mentoring program and spending time on the Sign Language Exchange. Brian grew up in a small town in South Dakota as the oldest of three. During his senior year in High School he was diagnosed as hard of hearing. He received his first hearing aid three days before he left for college at the University of South Dakota. He graduated from USD in 1986 with Bachelor of Science Degrees in Computer Science and Political Science and minors in Math and Chemistry. After graduation, Brian moved to Phoenix, Arizona where he worked for IPCS, a company that wrote hospitality software for the Howard Johnson hotel chain. In 1988 he accepted a position with Applied Communications, Inc. in Omaha, Nebraska. In 1989 he accepted a position with Visa, in San Mateo, California and 9 years later transferred to their offices in Virginia where he worked for the next 10 years. In June of 2010, Brian joined his wife in launching HIS Sign, LLC as a full-fledged sign language interpreting agency. Brian’s responsibilities with HIS Sign include handling the company’s technical needs and acting as a backup scheduler. Brian met Christina while he was living in Phoenix, Arizona. He moved to Omaha, Nebraska and together he and Christina moved to San Mateo, California where their children Matthew and Mikayla were born. Brian loves driving on vacations with his family, Scuba diving, Videography and graphics editing, roller blading, hiking and all outdoor activities. Ilene joined the HIS Sign team in 2011. She received a Marketing Degree from Shippensburg University in 1988. She spent 15 years with United Telephone/Sprint as an Account Manager selling voice and data products as well as a Sales/Product Trainer and Product Manager. She has also served as a Director of Marketing in the advertising and television markets before joining HIS Sign. Ilene is active in her community, schools and church. She is involved in a mentoring program at a local school district, her church and community outreach programs. Ilene lives in Dover, PA with her husband. Her passions include spending time with her children and family, flying, volunteering and traveling. Jennifer joined the HIS Sign team in April 2013. She has an Associate of Science Degree from Penn State University and has spent over 20 years enjoying office management and bookkeeping. Jennifer is the leader of her church's women's ministry and has been a volunteer at her children's school for both PTO and booster club activities. Jennifer lives in Wellsville, Pennsylvania with her husband and two children. Her hobbies include reading, gardening, boating and spending time with her family and friends. Matt joined the HIS Sign team in 2015 as an Account Executive. Matt’s experience in various client-facing roles and passion for delivering exceptional service to both large and small institutions alike ensure that clients working with HIS Sign receive the highest level of care. He has spent the majority of his 14 year career honing his skills under the umbrella companies of MSCI (Center for Financial Research and Analysis and Institutional Shareholder Services) in the Washington, DC Metro area and in London, UK. Matt was raised in Northern Virginia, and now lives in Ashburn, VA with his wife and two sons. His passions include traveling, playing hockey and spending time with his family. Michelle joined the HIS Sign team in December of 2018. She graduated from RIT/NTID with a bachelor’s in American Sign Language and Interpreter Education. After graduation, Michelle worked as an educational interpreter in Maryland for 6 years. She would also freelance at night and during the summer in Maryland, DC and Virginia. Michelle recently moved back to the DMV after living in Colorado for over a year. There she worked as an administrative assistant for the county detention center and a part-time VRS Interpreter. In her spare time, she enjoys experimenting in the kitchen, playing with her dog, being outside and spending time with her husband and her family. Monica joined the HIS Sign Team in May 2014. She has her Bachelor’s Degree in Child Development from California State University Northridge. She has dedicated the last 15 years as a Domestic Engineer of the Lee Household. Monica’s driving force and energy is from her Faith, husband and three children. Most weekends are spent on a baseball field, volleyball court or hockey field to watch her children live out their passion. Her hobbies include cooking, spending time with family and friends, shopping and watching Korean Drama. Holly joined the HIS Sign team in May of 2016. She graduated from Penn State University in 1992 with a Bachelor’s Degree in Elementary Education. Holly substituted in her local school district, taught preschool at her local YMCA and then became a teacher and director at Rainbow Junction Preschool for over 12 years. Holly continues to spend time volunteering at her local church and in her children’s school. Holly lives in Dover, Pennsylvania with her husband and two daughters. She loves spending time with her family, going to the beach and camping. She also enjoys reading, shopping, and spending time with friends. Melanie Blue has over 15 years’ experience providing high-level administrative support to large corporations, small businesses and non-profit organizations. She excels in organization, scheduling and communication. Community service is very important to Melanie and she spends over 70 hours each month teaching in the Deaf community. In her spare time, Melanie enjoys cooking, music and spending time with her family. Chris joined the HIS Sign team in 2016 as the Technical Support Specialist. Chris brings an extensive amount of knowledge from working for over 7 years in the IT field and thrives to continue learning new Technology. Chris holds a Bachelors Degree in Computer Science and has a few certifications under his belt and is planning on adding more. 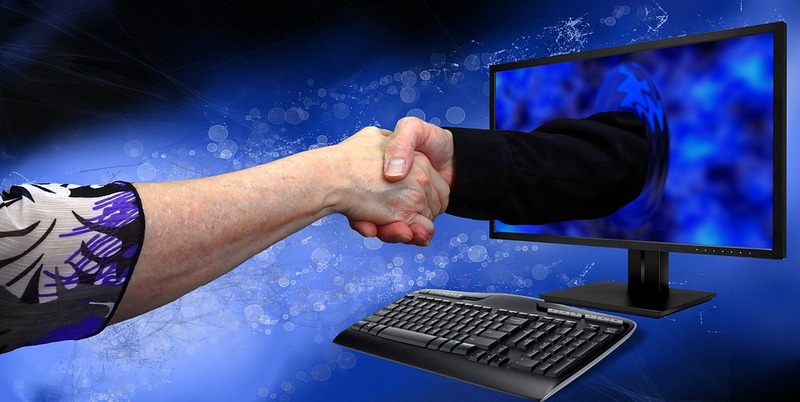 Throughout his career he has supported small to large businesses with IT support and has provided top notch customer service to all of his clients. Chris grew up in Queens, NY and lived in Florida for 10 years. He recently just moved to Virginia with his soon to be wife. When Chris is not working he enjoys traveling, fine dining, playing basketball, listening to music and hanging out with friends and family. Helen has been a speech language pathologist for the past 20 years in Ohio and currently in Virginia. She enjoys working with the preschool population as well as those with Autism. She was born and raised in Ohio with her older sister and younger brother. She is now a wife and mom to boy/girl twins and a younger son. During her free time she enjoys experiencing new restaurants, watching favorite TV shows and, most of all, DIY crafts. Sinae joined the HIS Sign team in 2015. She comes with more than 15 years of experience in sales and customer service. Sinae enjoys using her organizational skills and passion to serve others as the HIS Sign Administrative Assistant. She also has her own wholesale company which she has been running for 9 years. During her time off, Sinae is a Sunday School teacher, Head Coach for Science Olympiad, and volunteer at the local community center. She enjoys classical music, BSF, traveling, fine food, and spending time with her family. “Signing” on to the team in 2017, Toni brings her project management, recruitment skills and experience garnered from memorable years with AT&T, BASF, dream job at AOL and self-employment. She worked in corporate communications and online media for 25 years before switching focus to care for elderly parents and Bible education. Volunteering, teaching, caregiving, traveling, reading, writing, cooking, painting and cosmetology are just a few of her passions.